It’s been a long hot summer already, but we’re not out of the woods just yet. If you look at a map of climate change over the past two decades, you’ll see that America has become, by and large, hotter each year. And if statistics don’t do it for you, just step outside. Because of these increased global temperatures, the chance of getting heat stroke has drastically increased. This is especially true for the old and the young, who may not be able to take precautions. However, you can help. Generally, when temperatures and humidity rise, our bodies respond with their own natural cooling mechanism: perspiration. 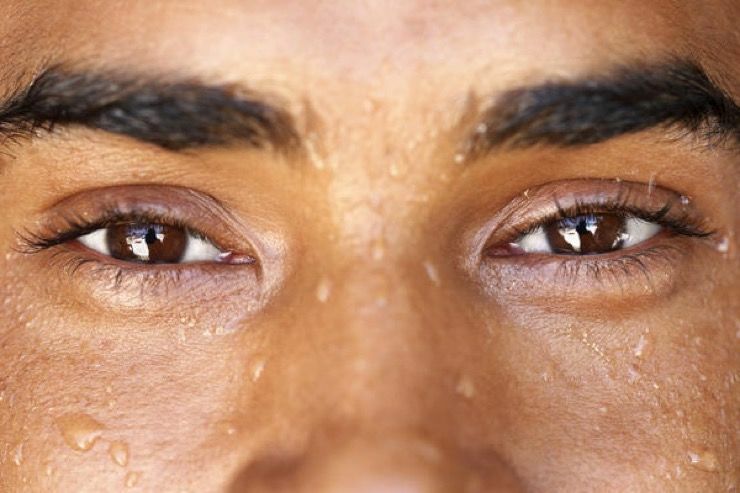 As we perspire, the sweat beads on our skin eventually evaporate, cooling us down. However, the more humid a day is, the less evaporation occurs. If it can’t evaporate, then we can’t cool down, and our internal body temperature rises. 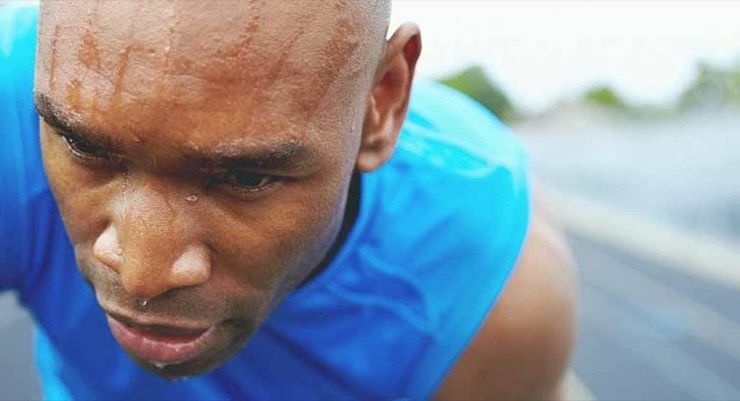 As the temperature within our bodies rises, our chances of experiencing heat stroke increase. 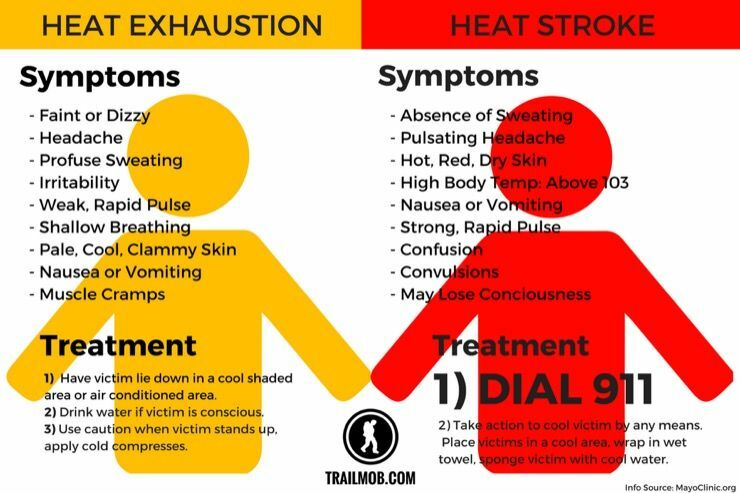 Heat stroke is a much more serious condition than heat exhaustion. This is because one can make you tired and the other, if left untreated, can kill you. 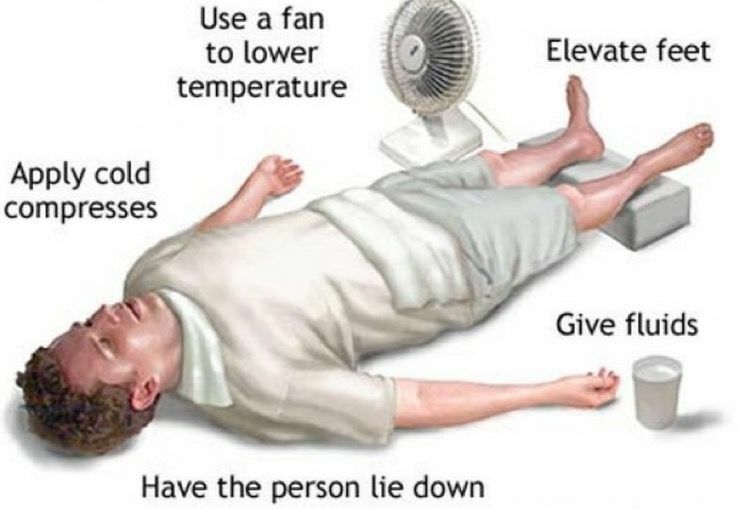 Those who come down with heat stroke can suffer from high fever, convulsions, and some have even been known to go into comas. No one is immune from heat stroke. It can affect everyone from couch potatoes to pro football players. Doctors have categorized the dangerous condition into two types. The first is classic heat stroke, which affects those exposed to extremely hot environments for long periods of time. 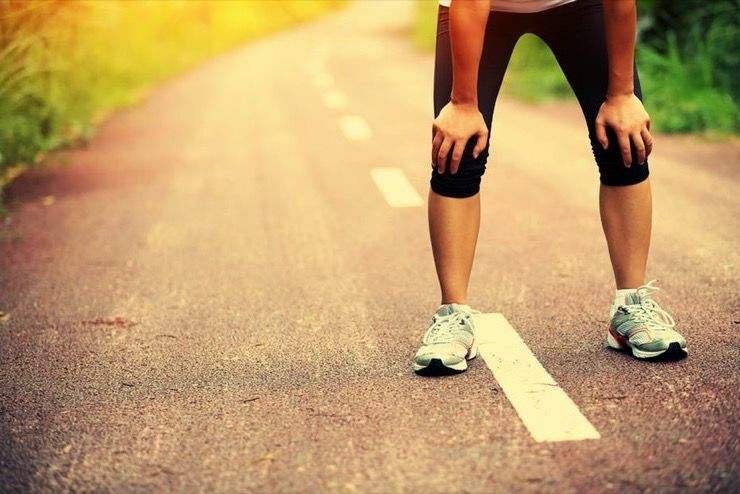 The second type is called exertional heat stroke, and it affects those who overdo physical behavior in very hot places. 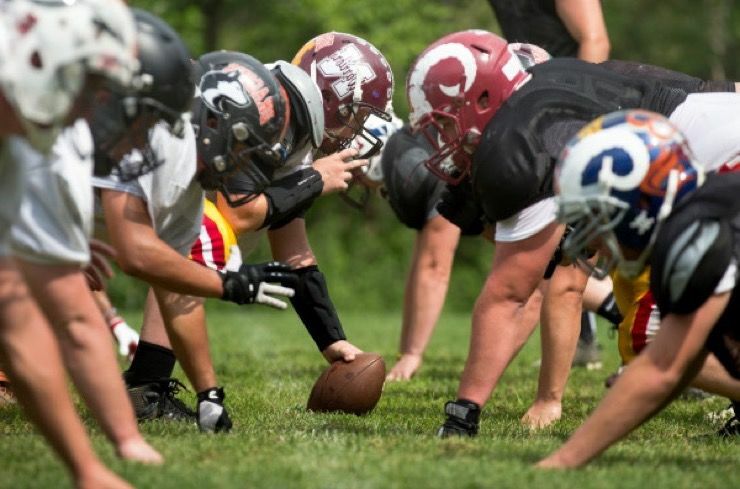 Exertional heat stroke is the bane of professional athletes the world over, but it’s specifically dangerous for football players. These men wear heavy, padded body coverings and helmets, sometimes practicing for hours in very warm environments. Without proper hydration and periodic rest, these athletes are likely to be adversely affected by the heat. Young athletes in particular are at a higher risk of developing heat stroke and heat exhaustion. This is because young people absorb heat faster than adults and often forget to drink fluids when engaging in intense exercise. Younger athletes are also quicker to reach for a sugary, further-dehydrating carbonated drink instead of a bottled water. 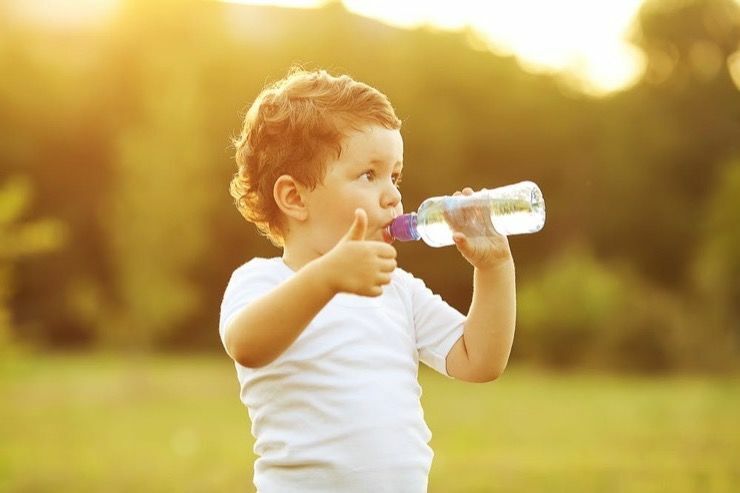 Babies and very young children are even more susceptible to heat stroke than your average adult, mainly because they lack the ability to hydrate themselves entirely. It’s important to keep them hydrated at all times in the summer and to be cognizant of our own hydration. Think about it, if you’re thirsty, they must be thirsty too. Many people forget that babies sweat, too. It’s important to remember this and to not swaddle your infants so heavily in the summer months. They need to air out and cool down just like we do. The best way to avoid children overheating is to keep them indoors during the hottest part of the day and let them out to play only when the temperature has dropped some. Firefighters, contractors, miners, farmers, and day laborers are all people who run the risk of contracting exertion-induced heat stroke. That means that all of you hard working people out there need to remember to take frequent breaks in the shade and rehydrate often. If you know it’s gonna be a hot one, pace yourself. Like children and babies, the elderly among us are also susceptible to heat-related illness. There are several reasons for this, the first of which has to do with the fact that their bodies don’t adjust well to sudden changes in temperature. Older people are also more likely to already possess one or more chronic conditions that might upset the body’s response to extreme heat. 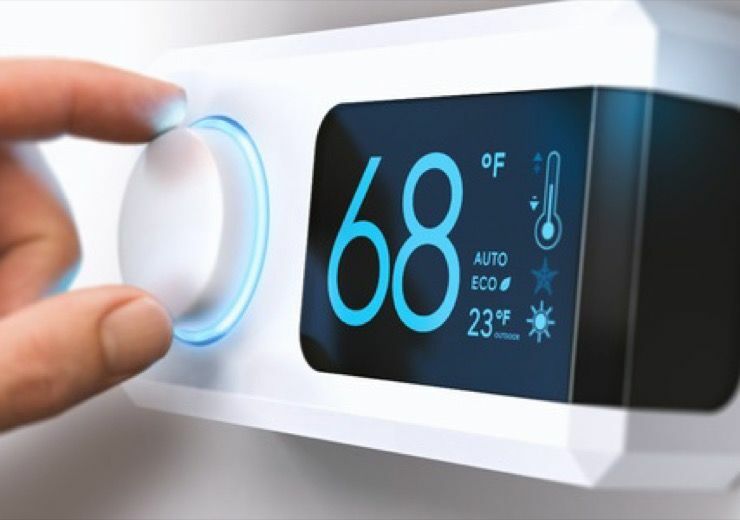 Elderly people are also more likely to be on prescription medicines that could potentially impair the body’s ability to regulate its temperature. 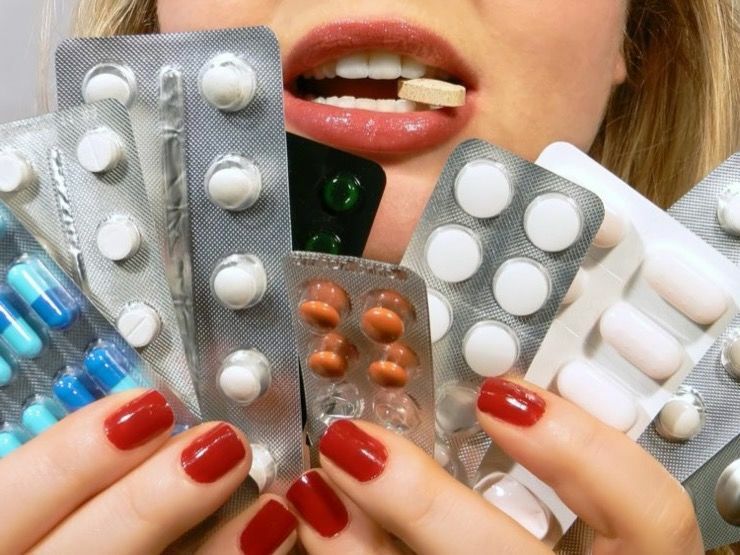 Some medications, such as allergy medications, blood pressure medications, irritable bladder pills, laxatives and water pills might even inhibit perspiration. One or more of these many medications can put the elderly in danger of heat stroke. 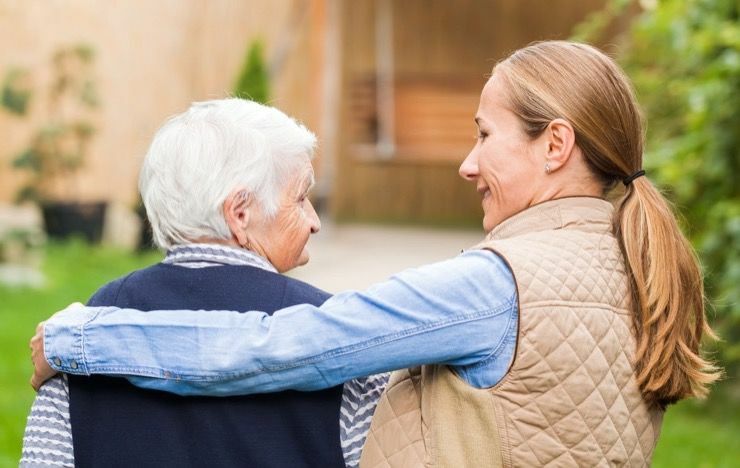 The best way for us to help our elderly relatives and neighbors is to check on them often. Call them on hot days, maybe visit to make sure their air conditioners are working and remind them to stay hydrated. 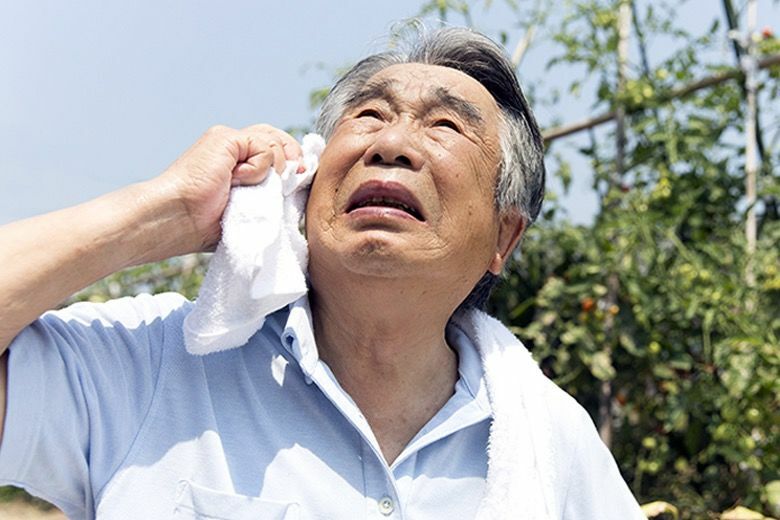 If an older adult you know is at risk for heat stroke or already chronically ill, try and visit them at least twice a day to see how they’re holding up. Despite our best efforts to prevent it, however, some of us might eventually come down with a case of heat stroke. But how do you know if you’ve got it? The first step is recognizing the warning signs. 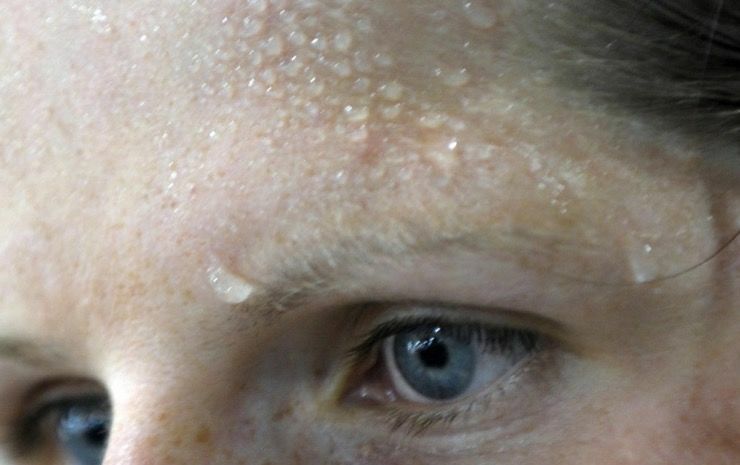 If you feel dizzy or nauseous, if you’re pale and sweating profusely, then you might have heat stroke. Other signs include fast, shallow breathing and a rapid pulse. 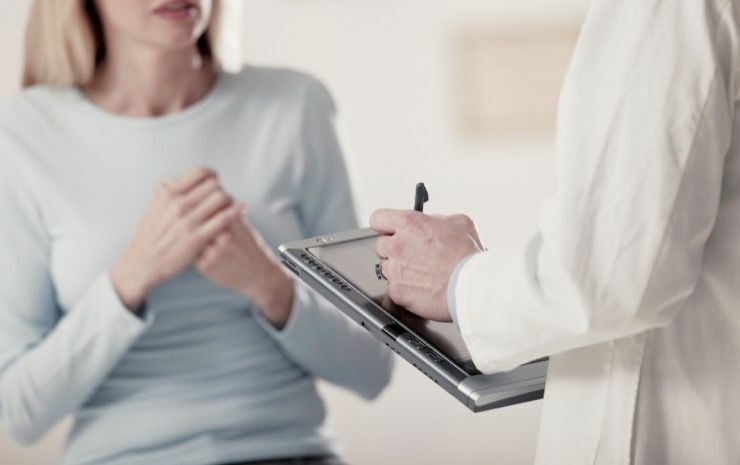 Severe progression of the condition also comes with muscle weakness and cramps as well. If things have gotten to this point, it would be prudent to seek out medical attention. If you haven’t gotten to the spasms and rapid breathing, however, there are other ways to treat yourself. First and foremost, you should find a cool place to rest, preferably indoors if at all possible. Do not overexert yourself any further. Next you should rehydrate slowly — don’t chug. Avoid any caffeinated drinks like soda, coffee, and especially alcohol. These beverages will only dehydrate you more. There are ways to avoid heat stroke in the first place as well. When the hot weather comes, don’t be afraid to wear loose clothing, breathable fabrics, hats, and sunblock. If you must stay in the sun, try to do so for short periods of time. 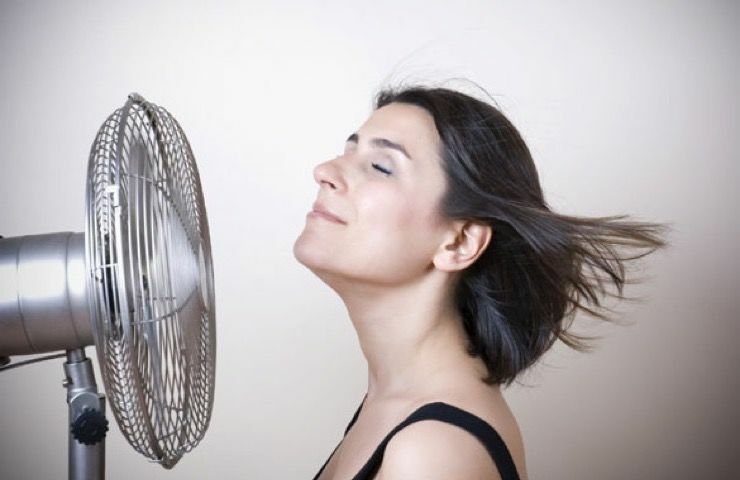 If there’s a breeze outside, open some windows and put on a fan to get the air circulating. If you’re fortunate enough to own one, run the air conditioner. If you’re not, there are plenty of other free alternatives out there for those looking to get out of the heat. Spend the day in an air-conditioned place like the mall or the library. Maybe head over to the movie theater and see a matinee one hot afternoon. 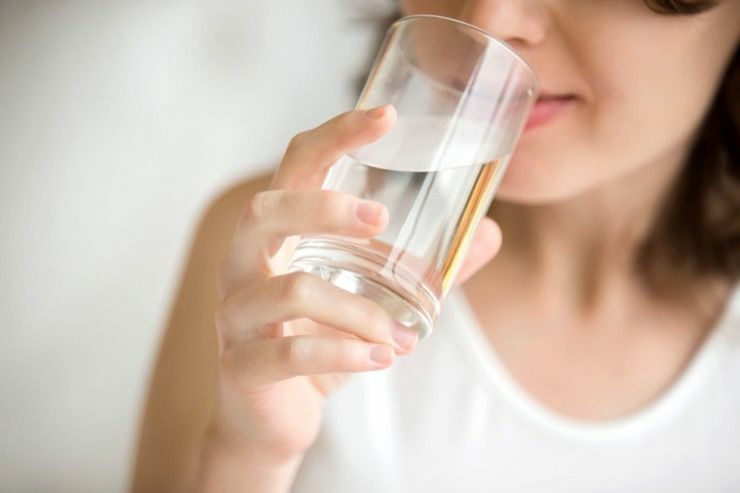 We’re not sure if we’ve been clear enough on this point, so we’ll say it again: Drink Water! Drinking water is critical to beating the heat. 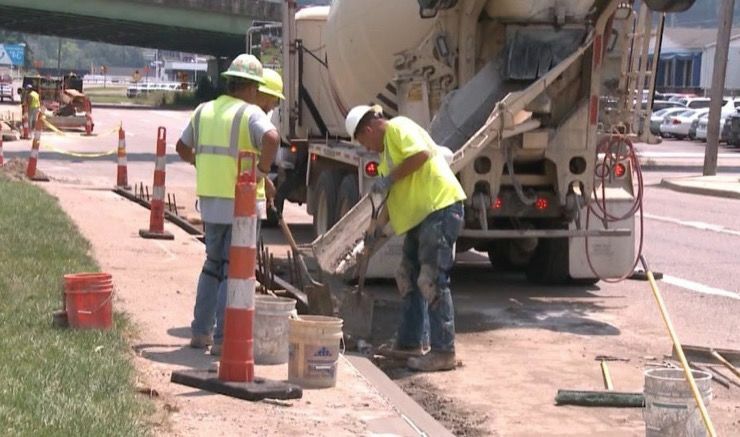 You may not realize it, but over the course of a day working in the heat, a normal person might produce as much as two to three gallons of sweat. That’s a lot of water that needs to be replenished. If you have experienced any of the earlier symptoms and don’t feel better after 30 minutes of rest and hydration, contact your doctor. This is especially true if you feel anything like confusion, loss of consciousness, throbbing headache, vomiting, or skin that feels hot but not sweaty. 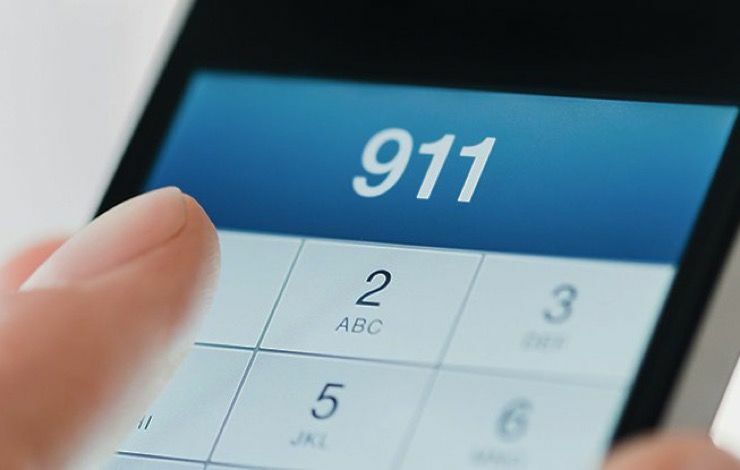 If you suspect you or someone you know has contracted heat stroke, call 911 immediately. Untreated heat stroke can be deadly. 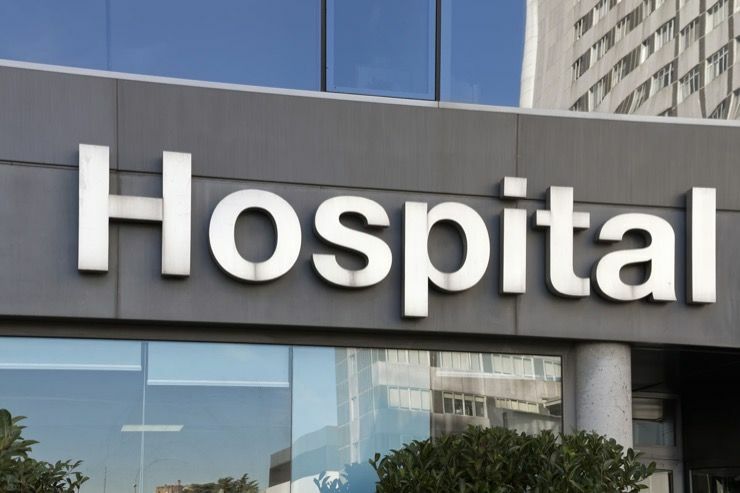 Most doctors will recommend that any person suffering from potential heat stroke be given fluids intravenously until their symptoms have abated. After that, it’s only a matter of follow-up. 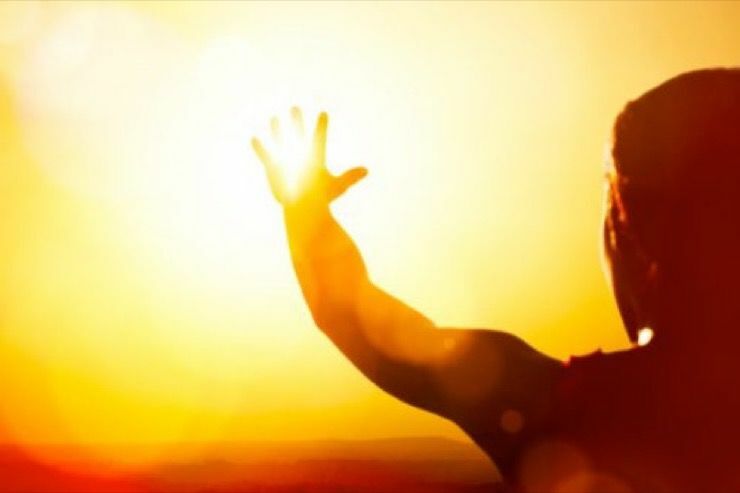 Those who suffer from heat stroke or heat exhaustion will actually be more sensitive to super hot conditions for about a week following the scare. During this time, it’s especially important not to overexert yourself or stay out in the heat for too long. Your doctor will tell you when it’s ok to go back to normal.